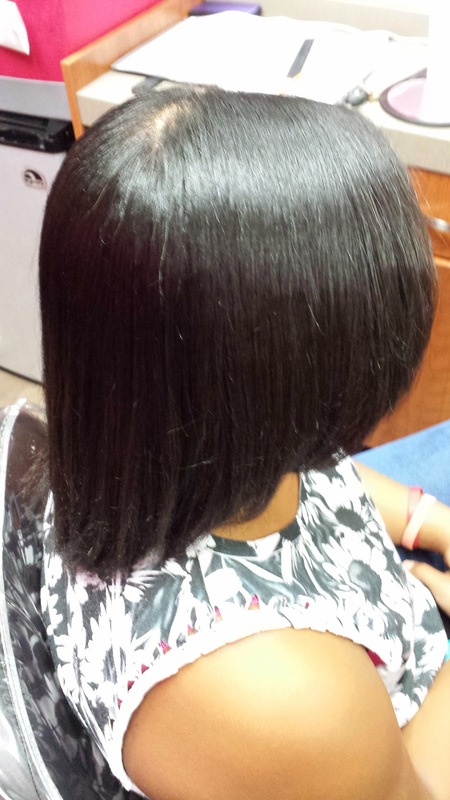 This young lady used to get a silk press every two weeks. 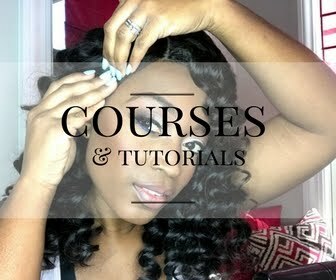 She always used Silk Hydration products but even with amazing products, natural hair is still natural hair so in the event that the hair gets wet due to moisture (sweat, rain, water, humidity) it will begin to swell up and revert back. 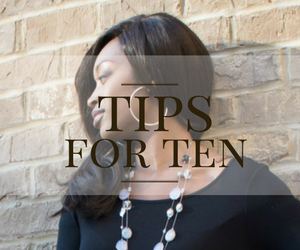 The only way it will not revert back is if you have something permanent done to it. that plays volleyball and sweats in her head a lot. 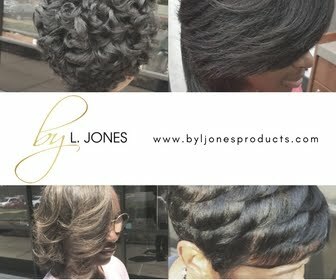 Therefore, the silk press does not last and sometimes does not last until the next appointment. 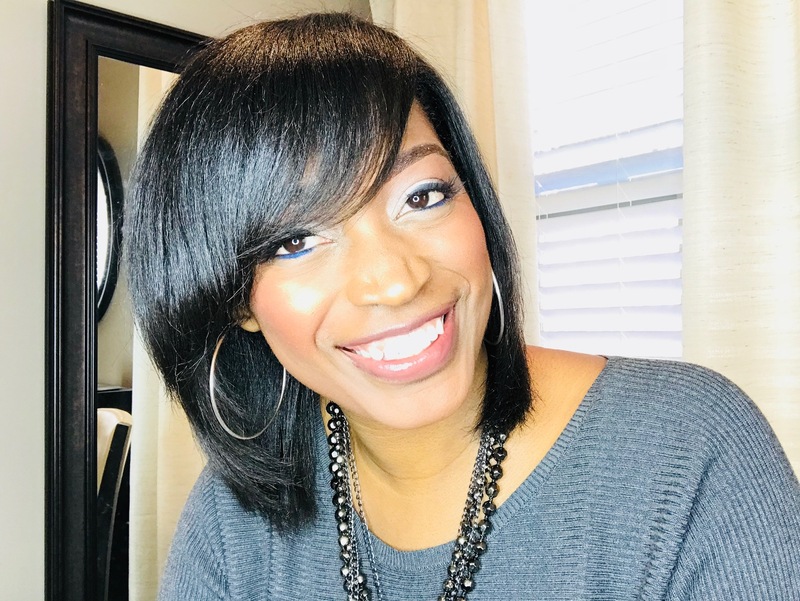 Her mother felt like she was just wasting money and wanted something else, other than a relaxer, that would last a little bit longer. I suggested the keratin treatment since it lasts up to twelve weeks. The picture above is her hair before I shampooed it. 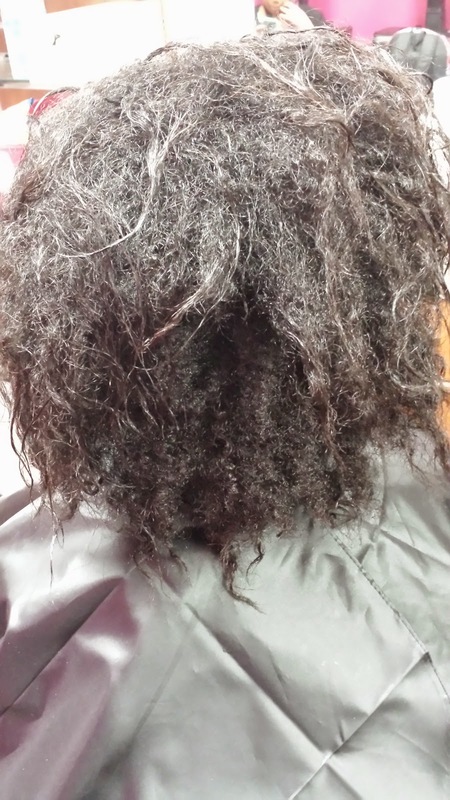 The picture above is her hair right after I shampooed it to show her curl pattern. 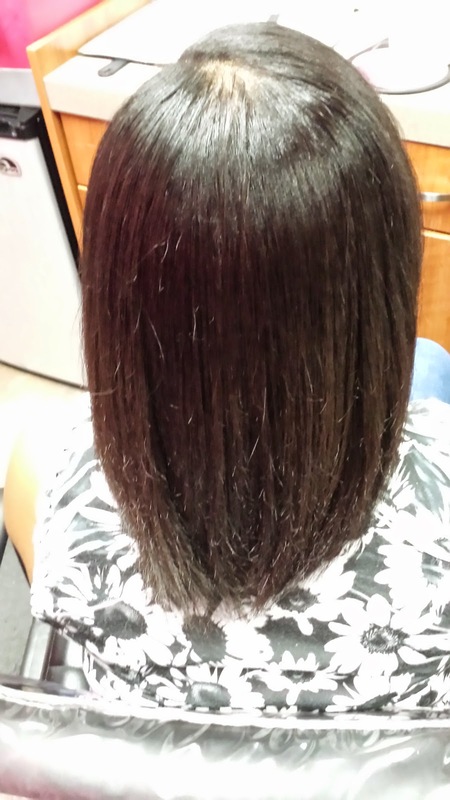 After the keratin treatment was applied and straightened, this is the pic of the results. 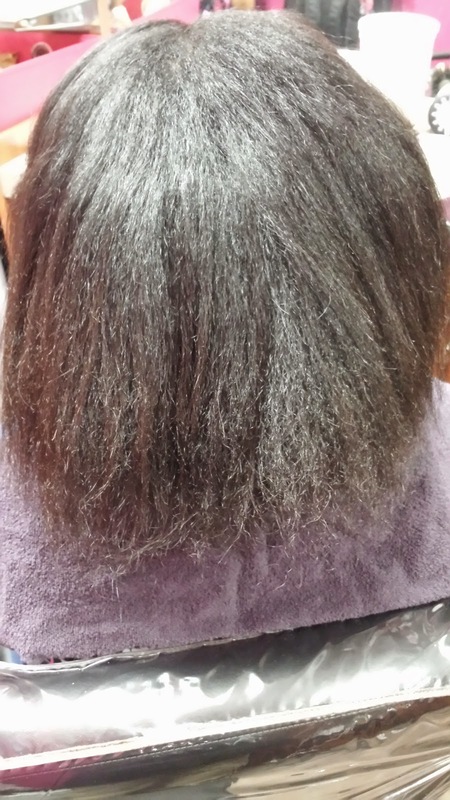 After all of that I still had to rinse, deep condition, blow dry the hair again, then flat iron again. This time the hair did not curl back up at all which cut blow drying time down by half. It also did not take long to flat iron it again also. This is the final result after it was all said and done. Her hair instantly felt softer and had a lot of body. She can now play volleyball and not be concerned with her hair reverting back. All she has to do is wrap it nightly and she will continue to shampoo weekly. 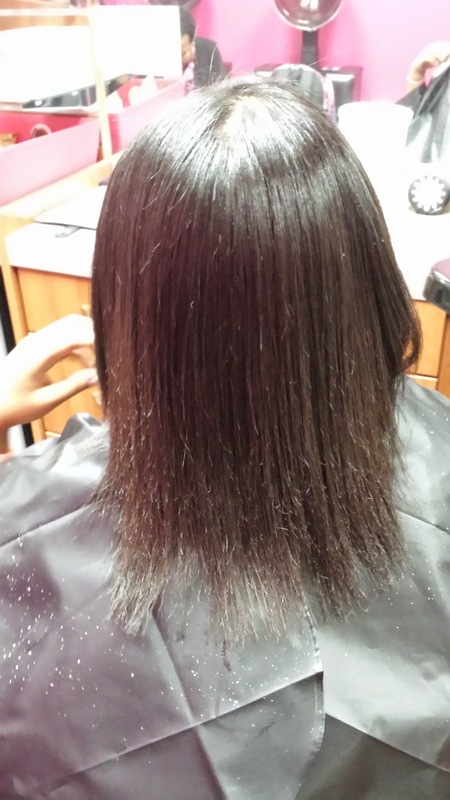 Thanks Toya for this post describing about the keratin treatment. 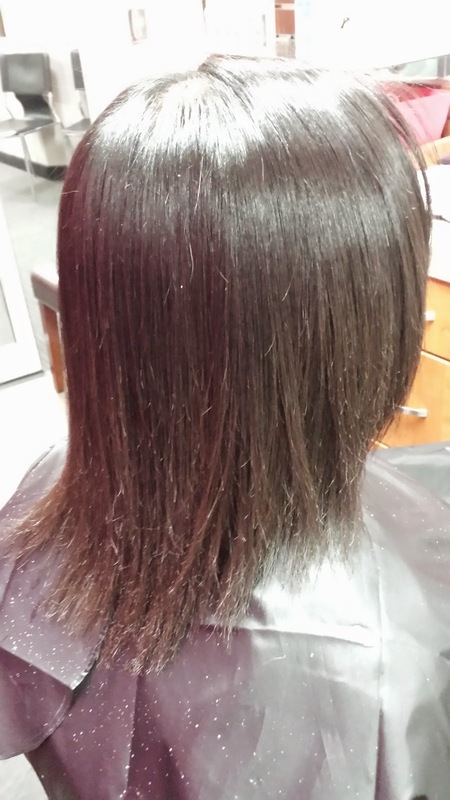 The effect of using keratin treatment is clearly showing by these images. I also applied this with my hair and using the shampoo for continues the shining of my hair which is ordered especially from online through artbeautyonline.com site.